THE next iPhone and Galaxy S flagship won’t make the trip to Barcelona (okay, the latter, in its pre-production form, might), but this year’s Mobile World Congress [MWC] still has some highlights, two of which were announced today. 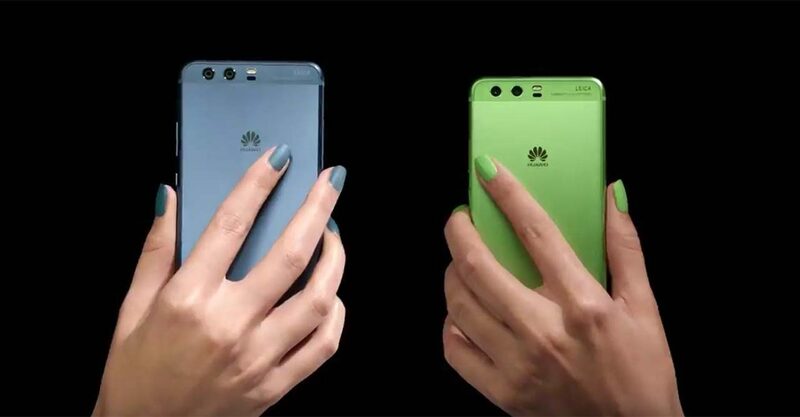 The Huawei P10 (click for complete specs) and the Huawei P10 Plus (click for full specs) are now official, introducing incremental but important changes to an already solid and popular flagship line. They are very much similar to their predecessors in and out, with both handsets being fabricated from a cocktail of metal and glass and bearing Leica-branded cameras and upgraded internals. The same machine learning algorithm first introduced on the Huawei Mate 9 also makes its way to the P10. And just as it does on Huawei’s big-screened flagship, the algorithm should improve memory management and increase storage space (by compressing apps you don’t use often) the longer you use the P10. The company says it will result in noticeable and desirable improvements, but we’re not expecting anything dramatic. Time will tell whether or not we are right to be skeptical. One aspect that rightfully deserves praise, though, is the Huawei P10’s bold choice of colors and finish styles. The green and blue color options look particularly enticing, and either will stand out among a sea of black and, until only recently, gold. But if you prefer more old-fashioned tones, there’s silver, gold, rose gold, white, and black (of course). On the front, the P10 features a 5.1-inch, 1080p LCD display, while the P10 Plus steps up to a 5.5-inch screen, with a quad-HD resolution that rivals the industry’s sharpest. A fingerprint reader lays flush below the display, regardless of which model you go with. You can’t press it in, but you can swipe across it to cycle through recent app, tap it once to go back one screen, or long-press to return to the home screen. Inside, the Huawei P10 and P10 Plus rely on the same octa-core Kirin 960 chip that powers the Mate 9. RAM and storage specifics vary depending on the size, with the regular P10 getting 4GB of RAM and 64GB of storage versus 6GB and 128GB on the Plus version. Both phones run Android 7.0 Nougat out of the gate and support fast charging. Thirty minutes of charging, the company claims, should keep the power on for the rest of the day. Camera-wise, both handsets pick up where the series left off, with two camera sensors on the back — one 20-megapixel unit for monochrome details, and the other, a 12-megapixel affair, for colors. It’s the same implementation we saw last year. What is new for the P10 is the addition of Portrait mode, which gets it on the same playing field as the Apple iPhone 7 Plus. The front-facer is also smarter this time around, intelligently switching between solo and group-selfie modes to fit more people in the frame. The Huawei P10 and P10 Plus start from 649 (roughly $685 or P34,500) and 699 euros ($740 or P37,100), respectively, which are significantly higher than their predecessors. Last year’s P9 and P9 Plus sold for P23,990 ($477) and P29,990 ($597) in the Philippines at launch. The new P10 handsets are scheduled to hit stores in March.